When thinking about my JRPG time before and after September ended, one thing was always for sure: I was going to play Dragon Quest XI. And thankfully I did, with a majority of my playtime for September being dedicated to it, although I did find a little time to try a couple of other things, such as the DLC for the ever addictive Xenoblade Chronicles 2. While it’s a shorter JRPGs I Played addition, September wasn’t lacking in gameplay time since I found myself taking time to appreciate detail in the well thought-out world’s I played through that really made me love everything I played. So in a true month of quality over quantity in my JRPG time, here are the JRPGs I Played in September. 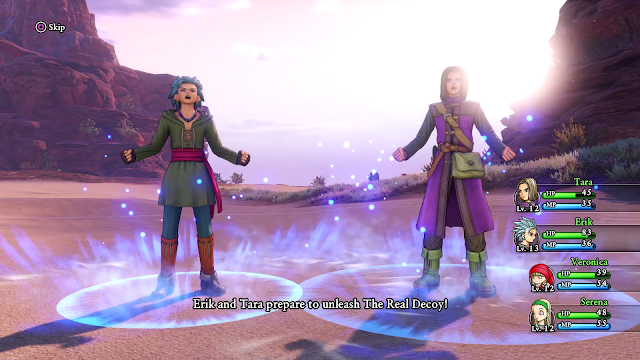 In September, I was finally able to complete my goal of playing a Dragon Quest game and I’m happy I was finally able to do it with Dragon Quest XI. I had a feeling Dragon Quest XI would be a good one to start with thanks to its more modern visual style and while the visuals style helped in making it more accessible, there were plenty of things to love about it overall. The detail in its world was what struck me the most - I love the amount of small things that made me want to stop and appreciate them, such as Erik being left-handed, the little ghost guy and its equipment crafting system, making me hope that a lot of the series overall charm comes from details like this because it would definitely make me want to play more of the series. I still have the rest of the post game left to do that I’d like to do sometime soon to see what happens, so the next time I think of Dragon Quest I will have to decide whether I want to continue with Dragon Quest XI’s post game or start one of the older games in the series, but either way I’m very glad I tried the series and look forward to diving more into it sometime. 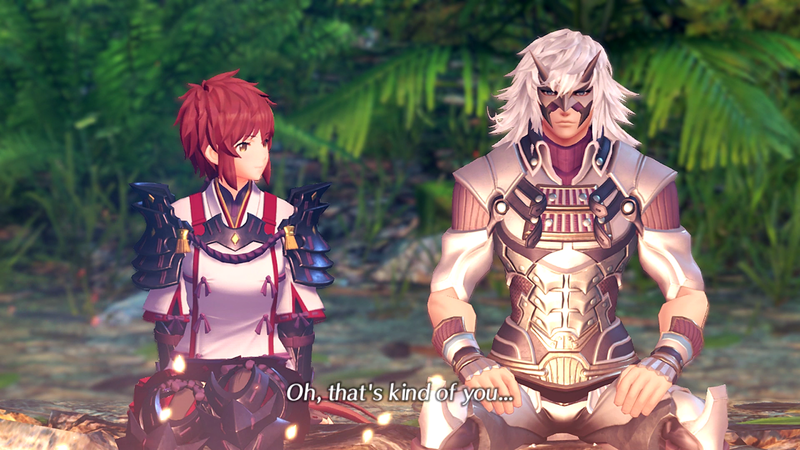 I knew there was a good chance I’d like Torna, the Golden Country since I enjoyed Xenoblade Chronicles 2 so much, but I really didn’t expect to love it as much as I do. I probably should’ve known since many of the reasons I love it so much are the same reasons I enjoyed the original game - on top of a great and interesting story, there is so much to do in it and with plenty of story and world development in some of its side activities like its quests, I’m itching to get back to it already. At the size of a smaller JRPG at around 20 hours long, it tells its story in a length of time that goes into the detail it needs to without overstaying its welcome and knowing all this new backstory about Alrest in more detail has made me really want to go back and play Xenoblade Chronicles 2 in its entirety again with this all of this in mind and my new opinions on some of its characters. Until I do that, my physical copy of Torna, the Golden Country in Japanese arrived so I can play it more as I study the Japanese in it and with a large amount of things to do in it, but relatively less than what I have left to do in its full game I feel less overwhelmed, so I’m looking forward to indulging my completionist tendencies with this DLC again at least a few times in October. By the time I finished Torna and Dragon Quest XI, there were only two days left in September leaving me with not much time to really dive into something. I had planned to try Dragalia Lost on smartphone, but couldn’t download it in time for work one morning after having to clear space on my phone, so I picked up my trusty Vita instead and spent some time with Persona 2. 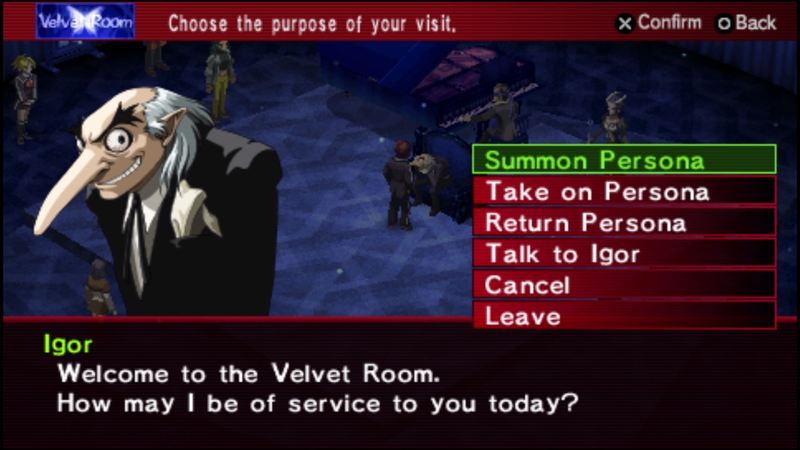 I was only able to spend a day with it and found myself mostly in its Velvet Room making Personas for my next dungeon crawl, and although I didn’t get around to the crawl itself I did enjoy myself. I was finally able to remove some Personas under level 10 from my roster and add in some ones I’ve met in other games in the series, such as the adorable Jack Frost. I’ve still got a lot things to do in Persona 2 with a few dungeons still waiting for me, so I hope I’m able to get more time into it in October. Speaking of October, there were two definitive editions of games I wanted to play this month in the form of Disgaea 1 Compete and The World Ends With You Final Remix, with both of them coming to Switch and being released in the same week. 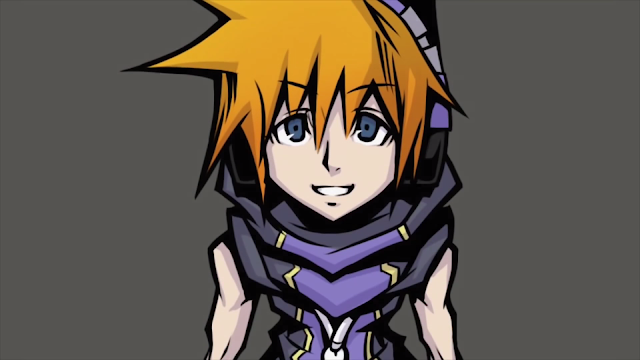 While I’ve always wanted to try the Disgaea series, I’ve also really wanted to try The World Ends With You that little bit more and I love the look of its art style and the idea of its themes in its trailers, so I think I’ll play it in October to see what it is as I don’t think I’ve played anything like it. Aside from The World Ends With You and hopefully putting time into Persona 2, I also hope to get some time with smartphone games like Persona O.A. to see how it’s changed since the last time I played it, and also Dragalia Lost to see what it is as a few of you guys have recommended it to me. Despite October being a quieter month for JRPGs, my month doesn’t feel quiet at all and I’m curious to see which of these portable JRPGs will give me the most fun in October. You can pick up most of these games on Amazon! What did you play in September? What are your JRPG plans for October?